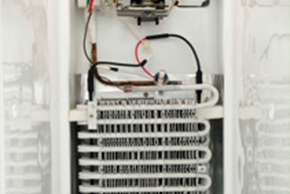 Call us for ice machine repair and services you can count on. Call us now! We are passionate about ice and dedicated to customer service. We know that you need a steady flow of ice to keep the customers happy, and that’s why we offer sales and service. Family-owned and operated for more than 35 years, we are here to help you in any way possible. We have a team of expert technicians on staff who are highly skilled at installing and working on ice machines. We know that you are going to have questions, and our team will be happy to answer them. We guarantee that we are the best company to help you with all of our ice needs, and we are happy to offer our customers free estimates and consultations. When you want a commercial ice machine, choose the company that will also provide you with quality personal service. Call us today at 281-826-0444 to schedule your consultation and free estimate. Cool Tech ICE | Serving Houston and surrounding area’s.